There are more and more news reports about state bodies not doing their work properly, especially about cases where mothers or babies die in hospital or suffer permanent damage due to the negligence of doctors and nurses. In the following case the court found the state guilty of negligence because it did not do its work properly. The facts: In the case Khoza v Member of the Executive Council for Health And Social Development of the Gauteng Provincial Government  2 All SA 598 (GJ) (6 February 2015) Khoza claimed damages on behalf of her minor son. In May 2008 the boy suffered serious neurological damage at birth. Khoza claimed that her son’s neurological disability was caused by the medical negligence of the doctors and also the nursing personnel of the Chris Hani-Baragwanath Hospital. During the birth process Khoza was coupled to a cardiotocography machine (CTM). This machine is used to monitor the fetus and to show when the fetus is in distress. The CTM report was of critical importance to the claimant’s case. During evidence, however, it came out that the reports of this machine went missing during the birth. The National Health Act (Act 61 of 2003), in sections 16 and 17), stipulates that hospital records shall be maintained and stored in safekeeping. It is further stipulated that proper measures must be in place for easy access to these records when necessary. The court held that this was not the first time that patients’ records were lost in the maternity ward of the Chris Hani-Baragwanath Hospital. The court held that the failure to submit the records to the court without good reasons was inadmissible. The onus to prove negligence rests with the claimant. 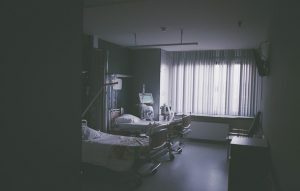 The claimant contended that the nursing personnel were negligent by not properly monitoring the machine and that the dose of cytoquinine administered to her was too high in the circumstances. After establishing negligence, the court further had to determine whether the damage suffered by the fetus could have been prevented had the fetus been properly monitored. It was proved that the fetus suffered no damage inside the mother before the birth. The defendant conceded that the damage was suffered during the birth process. It was specifically caused by an oxygen deficiency or by the umbilical cord being wound the neck of the fetus. The defendant was ordered to pay 100% of the damage proved by the claimant, plus costs. This included the cost of two advocates, the medico-legal reports, experts’ appearance costs, etc. This is once more a case where state departments are given a shake-up and are reminded that if they do not do their work properly, they will pay.